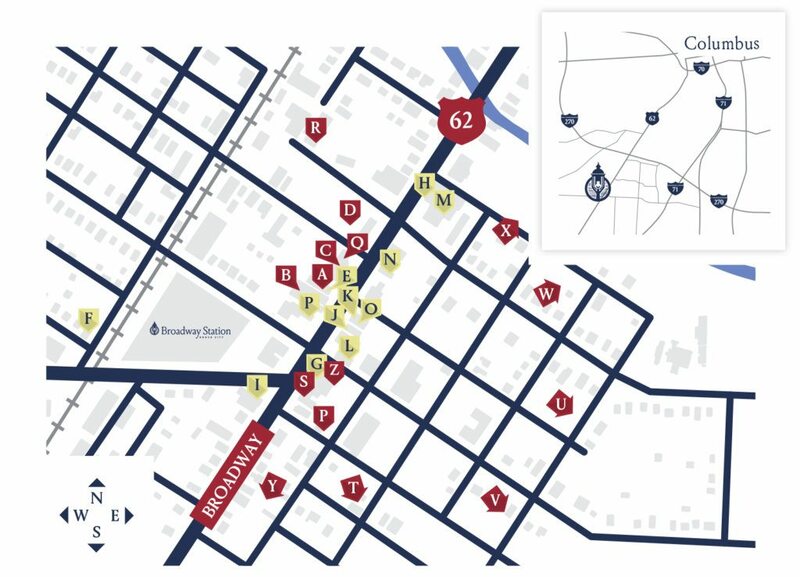 Simply step out your door at Broadway Station, and you’ll find yourself right in the heart of Grove City’s historic Town Center, home to restaurants, cafes, theaters, and boutiques, all supported by a high ranking “Walkability Score” of 73. See and feel the rich history of the city as you stroll through this charming downtown, with historic architecture of the past standing proudly beside new concepts like the Grove City Brewing Company and Cultivate, a small business incubator. 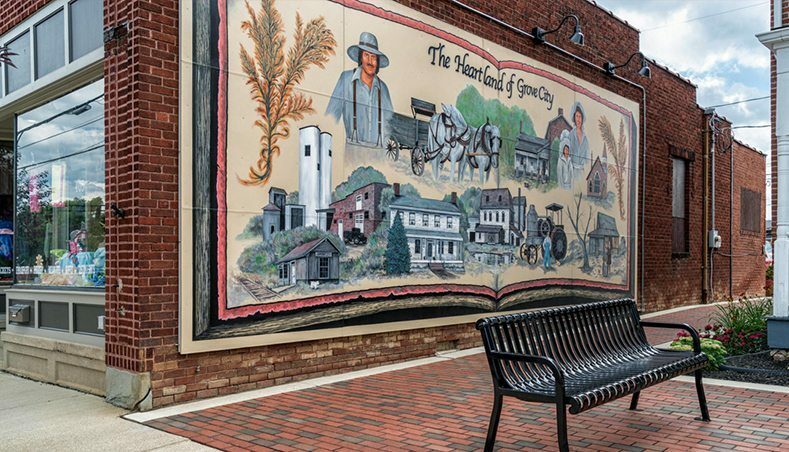 With historic roots dating back to the mid 1800s, Grove City was once a thriving farming town, with a bustling railroad system that fueled growth at the turn of the century. 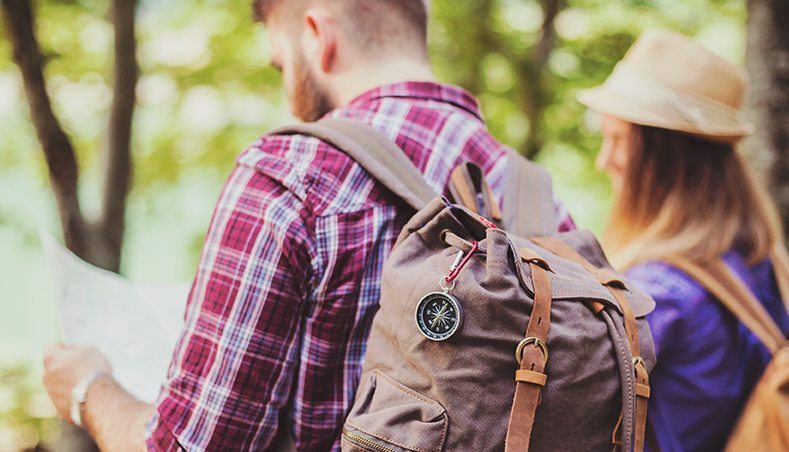 If you’re feeling nostalgic or simply want to learn more about Grove City’s past, you can walk to the Grove City Welcome Center and Museum for a glimpse into decades of rich, fascinating history. There’s always something to fill your calendar within Grove City. The area is host to many events throughout the year, like the Spring Craft Beer Fest, Summer Concert Series, Ecofest, Arts in the Alley, and weekly Farmers Markets. Nearby parks provide residents with an array of choices for outdoor activities. Visit Battelle Darby Creek Metro Park, home to more than 18 miles of trails, 14-acre fishing pond, living stream, and even a bison habitat. The Gardens at Gantz Park invites visitors to take relaxing strolls among nature, through herb gardens, medicinal gardens, and horticultural exhibits, with available educational classes throughout the seasons. At nearby Windsor Park, America’s pastime is alive and well, featuring 11 baseball diamonds for teams of all ages. If you’re feeling a little adventurous, try your luck at nearby Scioto Downs Racino, featuring live seasonal harness racing. Or visit the only operational vineyard in Franklin County, Plum Run Winery, where you can indulge in tastings, food pairings, and live entertainment. You’ll never be at a loss for fun in Grove City. Interested in learning more about Grove City and our great neighbors? Visit our neighborhood directory to learn more! You'll find directions, phone numbers, and their website all in one place.